The leaves will start turning before you know it, which will provide about a week’s worth of happiness and Instagram likes before they all fall off and start molding in your yard. 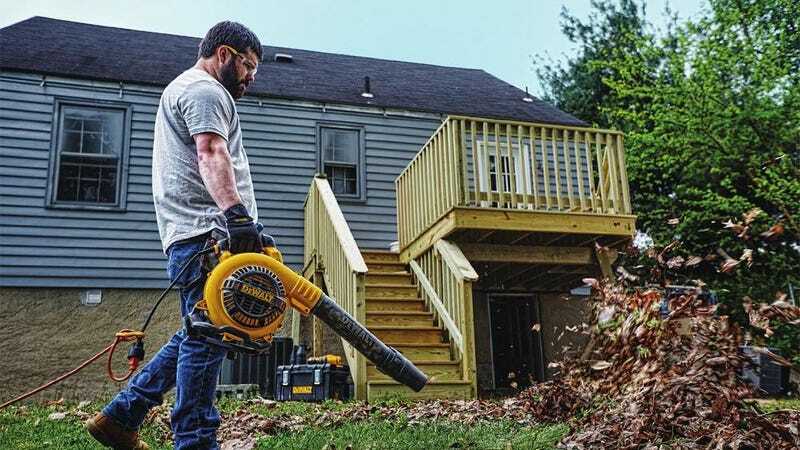 Today’s DEWALT sale at The Home Depot is here to help though with a $70 corded blower, plus bundles with other discounted yard tools. This is Home Depot’s deal of the day, so you can’t procrastinate like you do when it comes to actually getting yard work done.